Kaltura’s online video platform is built of interlocking APIs, to handle every aspect of the video workflow. Kaltura’s open source platform includes hundreds of REST-based application programming interfaces (APIs) providing programmable access to every core service of the platform. These are the building blocks of Kaltura’s platform, and the reason the Kaltura video solution is so flexible and applicable to so many different use cases and industries. With full access to our video API, you can independently extend every feature and functionality of the Kaltura Platform. This means you’ll be able to seamlessly integrate Kaltura’s various solutions, services, and widgets to create a unified experience within your chosen environments — be it a known CMS, or custom in-house application. 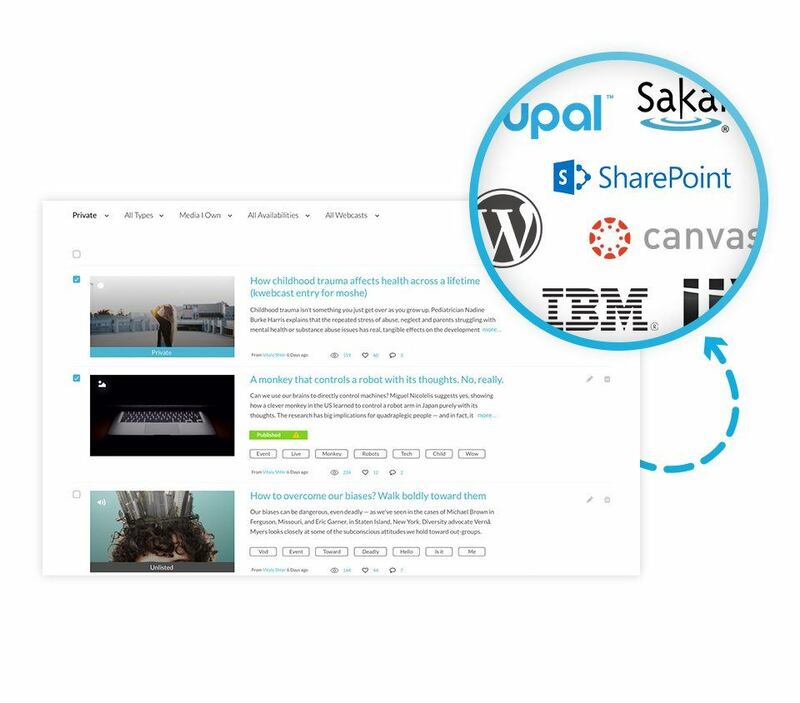 Kaltura VPaaS (Video Platform as a Service) offers you a full set of the Kaltura Video APIs. This pay-as-you-go service allows you to build any video experience or workflow, and to integrate rich video experiences into existing applications, business workflows and environments. Kaltura VPaaS eliminates all complexities involved in handling video at scale: ingestion, transcoding, metadata, playback, distribution, analytics, accessibility, monetization, security, search, interactivity and more. Available as an open API, with a set of SDKs, developer tools and dozens of code recipes, we’re making the video experience creation process as easy as it gets. The most structured of the VPaaS offerings, Kaltura Application Framework (KAF) makes it easier than ever to develop both standalone and integrated video experiences. 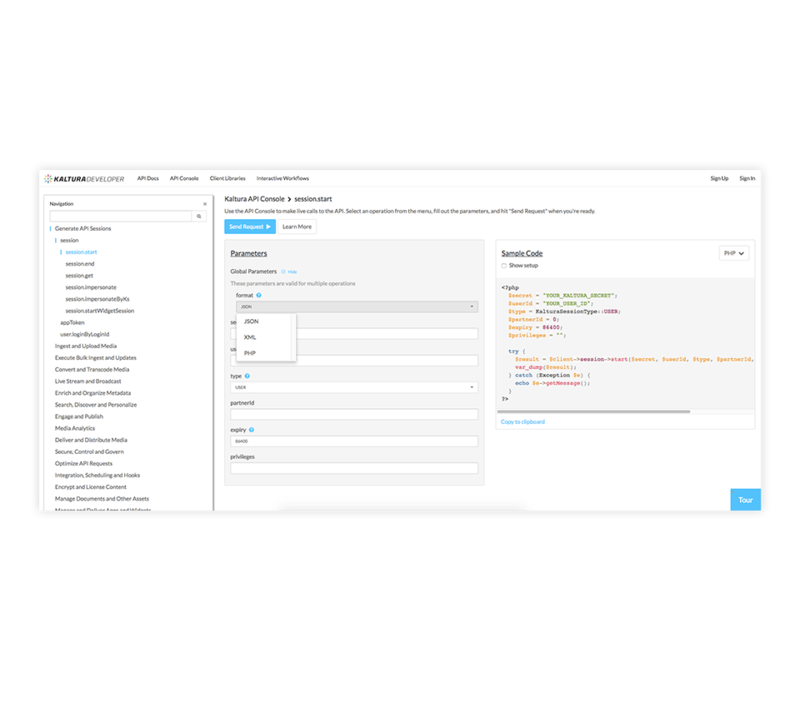 This framework leverages Kaltura’s APIs to integrate with existing platforms. Develop and launch a video solution that’s fully integrated into your existing systems, and enjoy new features as they are released.